Economics is sometimes divided into two parts: positive economics and normative economics. The former deals with how the economic problem is solved, while the latter deals with how the economic problem should be solved. The effects of price or rent control on the distribution of income are problems of positive economics. The desirability of these effects on income distribution is a problem of normative economics. Within economics, the major division is between monetary theory and price theory. Monetary theory deals with the level of prices in general, with cyclical and other fluctuations in total output, total employment, and the like. Price theory deals with the allocation of resources among different uses, the price of one item relative to another. Prices do three kinds of things. They transmit information, they provide an incentive to users of resources to be guided by this information, and they provide an incentive to owners of resources to follow this information. 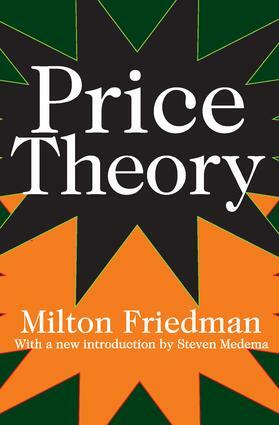 Milton Friedman's classic book provides the theoretical underpinning for and understanding of prices. Economics is not concerned solely with economic problems. It is a social science, and is therefore concerned primarily with those economic problems whose solutions involve the cooperation and interaction of different individuals. It is concerned with problems involving a single individual only insofar as the individual's behavior has implications for or effects upon other individuals. Price Theory is concerned not with economic problems in the abstract, but with how a particular society solves its economic problems.